Consumers have been quick to discover the myriad benefits that online dealer auctions for used cars afford. Through websites where you gain access to dealer auctions, you’re able to enjoy a level of savings once thought unthinkable. 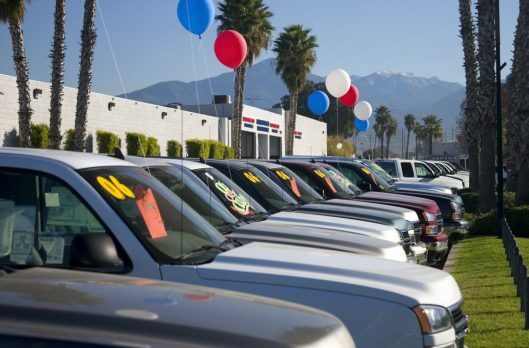 In fact, some buyers have found they’re able to save as much as 80% on the cost of a used car. Beyond this, there are more benefits, including the convenience of being able to shop a huge selection of vehicles from the comfort of your own home. If you’ve yet to try dealer auctions online for used cars, then you’ll want to make sure you go into the process prepared. With that in mind, we’re going to take a look at three key things you should know when you buy a used car in a dealer auction online. When you’re bidding in auctions, it can be all too easy to get caught up in the final bid price of an item. Unlike with auctions for ordinary consumer goods, though, there are additional costs you’ll need to factor in when setting your budget for dealer auctions. For one, remember that you’ll need to pay for pickup and delivery of any vehicle that you win in a dealer auction. In addition to this, remember that some post-purchase repairs might be necessary. Finally, be sure to understand whatever auction fees may apply with the website that you’re working with. As you look at the inventory of cars available through dealer auctions online, you’ll likely come across many salvage vehicles. Many who are new to these auctions are quick to write salvage cars off, but this is a mistake. On balance, salvage cars can often present the savvy bidder with the best chance for an incredible deal. Provided that you’re able to make repairs yourself, or else know an affordable and reliable mechanic, the total cost of getting a salvage vehicle back on the road might be far less than the purchase price of an ordinary used vehicle. Whether bidding on salvage or new cars, there’s one thing that’s vitally important to finding success in online dealer auctions: You have to conduct research. Ultimately, when you’re trying to determine what to bid and whether or not a vehicle is worth it, the more knowledge you have the better. For this reason, be sure to note the VIN of cars that you’re interested in. If you’re really interested in pulling the trigger, use this VIN to request a history report through a third-party like CarFax. What you learn might just make the difference between bidding or not bidding! As long as you understand all of the above, you should have tremendous success when using online dealer auto auctions. Simply put, there’s no more convenient and affordable way to buy a used car. So, try online car dealer auctions today, and see for yourself why so many others are using them.